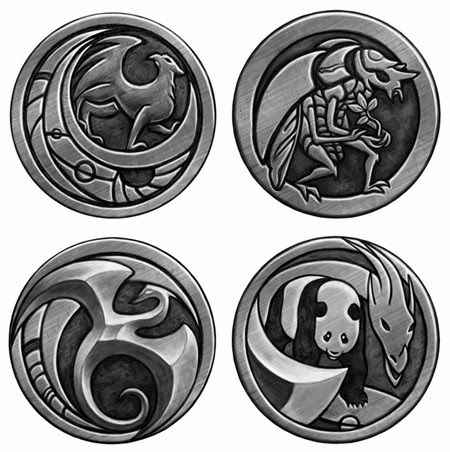 Elisabeth Alba recently illustrated these four seals for author Philip Williams, who is publishing an epic, operatic science fiction cycle called The Griffin Series. Each seal symbolically represents a specific book. They appear on the covers and as chapter headers inside.